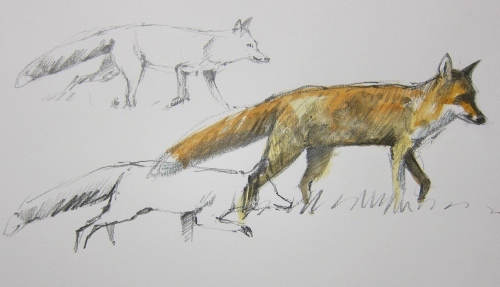 I was fortunate to have time to study three foxes at dawn. The group probably consisteed of a vixen and two young vixens. The youngsters spent alot of time chasing and stalking each other. I don’t draw mammals often and this morning presented me with the opportunity to make some fast sketches of foxes walking. The adult vixen was freshly moulted ready for winter with a fine bushy tale, a very beautiful animal. 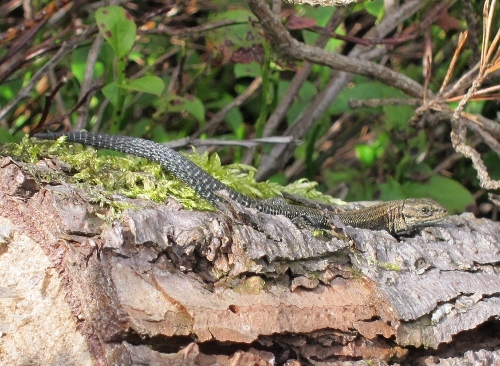 Found some common lizards basking in what little warmth there was available on the moors. We also found a slow worm, a beautiful bronze coloured specimen. The bell heather is just coming into bloom, the prelude to a glorious time on the North York Moors when the heather covers the tops in mauve. My son and I scrumped hundreds of bilberries, absolutely delicious especially when three or four are taken at once! 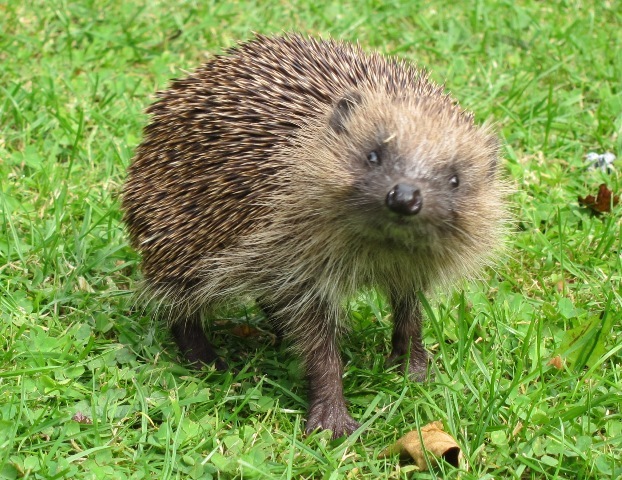 During the afternoon a hedgehog appeared under the bird feeders to eat sunflower hearts dropped by the birds. 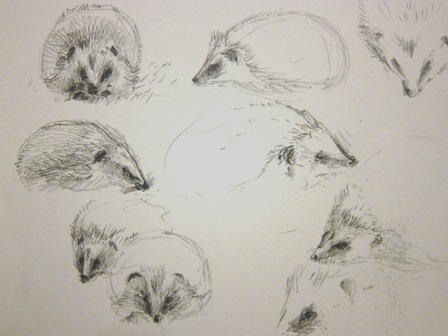 It seemed to be in good health but I was concerned for its well being so I referred to my books, two of which stated that hedgehogs feed in daylight in the autumn. 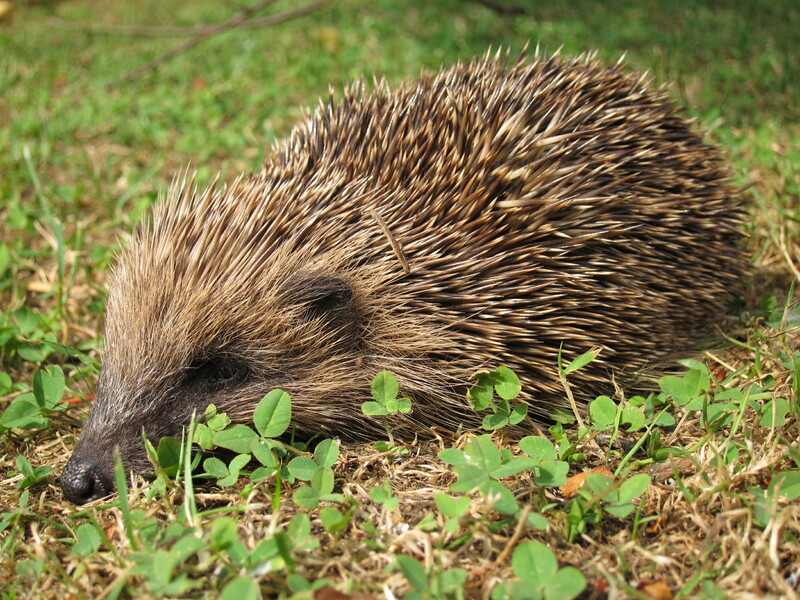 It should be stressed however that this behaviour can signal that a hedgehog is in trouble as they are chiefly nocturnal feeders. We watched similar behaviour last September, with hedgehogs coming out to feed at the warmest time of the day, presumably to build up fat reserves in time for hibernation.